Lupus is an autoimmune disease whereby a misdirected immune system leads to inflammation and injury to one's own body tissues. 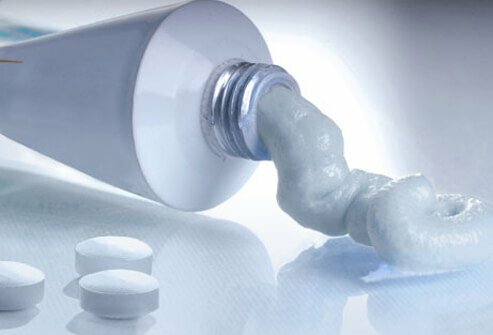 There is no specific cure for lupus, but treatments are effective at minimizing lupus damage and improving function. 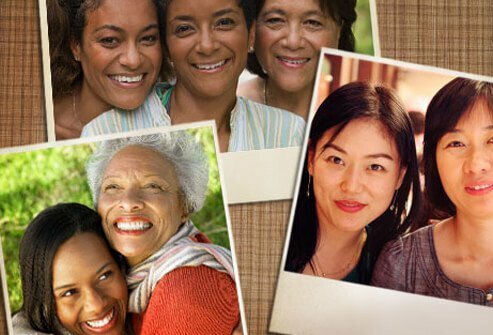 Approximately 80% of lupus patients are women. Though the first signs of the lupus disease can be rash, there are often pains in the muscles and joints. Both sides of the body tend to be affected. Hands, wrists, knees, and feet are commonly affected. The joints can become swollen, warm, and have limited range of motion. A classic lupus rash involves the cheeks and over the bridge of the nose. 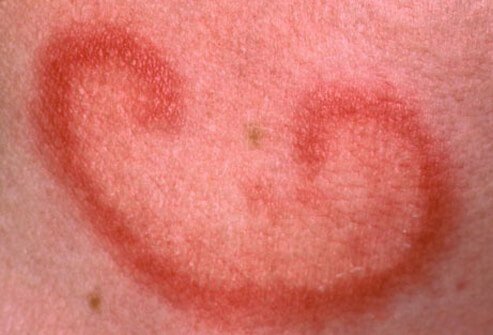 This is referred to as a "butterfly-shaped" lupus rash. It is also common for the skin to be very sensitive to burning and irritation after sun exposure. 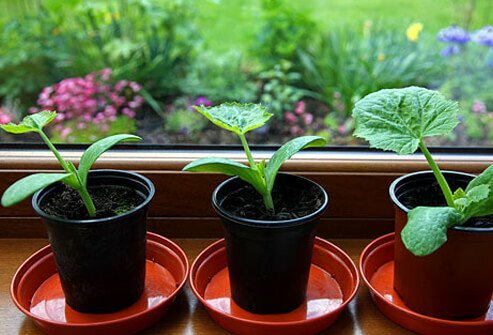 This is referred to as photosensitivity. 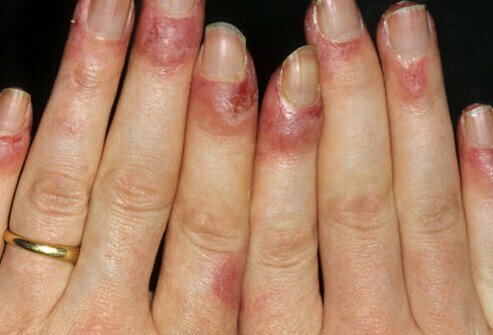 Lupus rash can cause a ruddy discoloration of the backs of the hands and fingers. There can also be poor circulation to the nail beds that leads to irregularities of the fingernails. Inflammation at the nail bed can cause swelling and puffiness. Fatigue is one of the most common symptoms of lupus. It can interfere with daily activities, exercise, and occupation. Low-grade fever is not uncommon during disease flares and can be a warning sign for an impending flare-up of lupus. Sensitivity to sun exposure is very common in lupus. It can cause the skin to become seriously irritated. Sun exposure can also flare the disease internally in some patients. 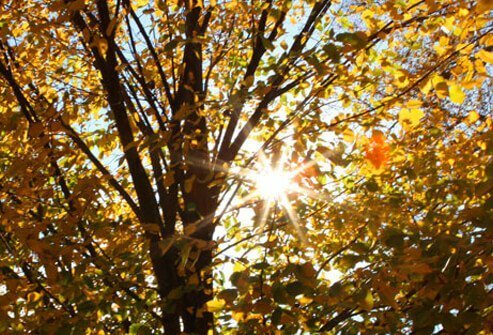 Certain medications can make lupus patients even more sensitive to sunlight. Symptoms of lupus tend to wax and wane. Depending on the type of lupus, skin inflammation (dermatitis) hair loss can be temporary or permanent. Fortunately, permanent hair loss is less common than temporary hair thinning that recovers after a disease flare. Raynaud's phenomenon is a condition caused by lupus whereby fingers and/or toes become purplish and sometimes painful and numb in response to emotional stress or cold temperature exposure. These situations lead to spasm and restricted circulation. 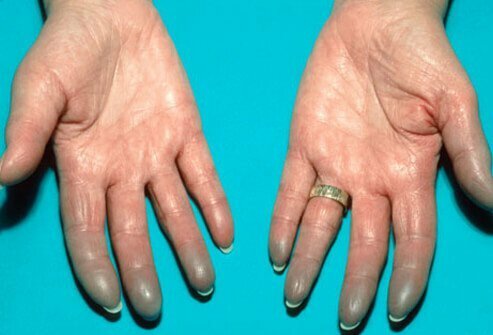 Some patients with lupus have Raynaud's phenomenon. 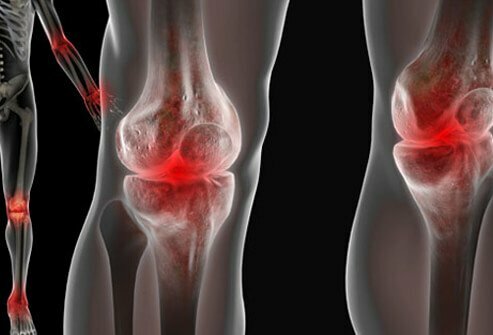 Initially, lupus that affects the joints can mimic rheumatoid arthritis. Rheumatoid arthritis can also cause fatigue. The skin rash of lupus, however, is not seen in patients with rheumatoid arthritis. There are also specific lab tests that can help in distinguishing the diseases. It can be challenging for doctors to diagnose lupus. Lupus can mimic other diseases and its initial presentation varies from patient to patient. It is not unusual to have minor symptoms for years prior to a lupus diagnosis. There is no singular test for lupus. There are certain abnormal antibodies that can give clues to the diagnosis, including antinuclear antibodies (ANAs), deoxyribonucleic acid antibodies (anti DNAs), and anti-Smith antibodies. 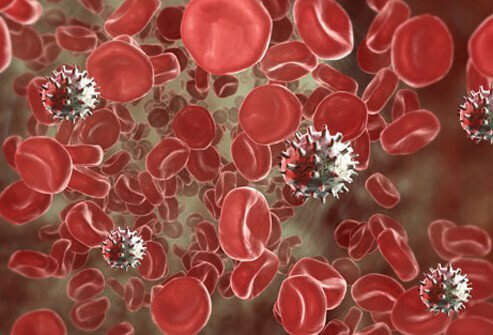 White and red blood counts can be low as can platelet counts. Sometimes tissue biopsies are necessary for a lupus diagnosis. Lupus can affect people of either gender or any ethnic background. It affects women eight times as often as men. The onset is usually in the childbearing years. There is a higher prevalence in blacks, Latinos, and Afro-Caribbean individuals. There is a lower prevalence in Asians and whites. 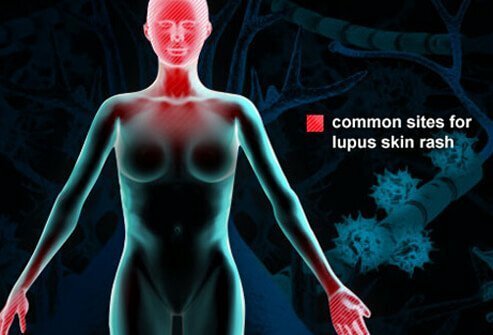 Lupus is more common in those who are related to someone known to have lupus. There is more than one type of lupus. A couple of its types are discussed below. 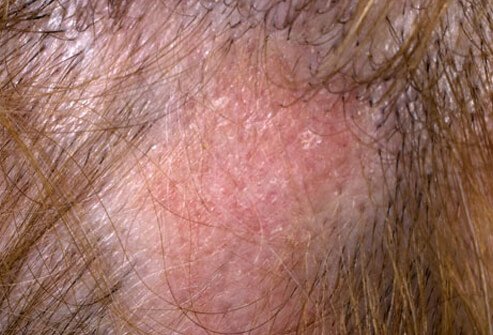 Discoid lupus is a particular form of skin inflammation that can lead to scarring and permanent hair loss and can occur without systemic disease. 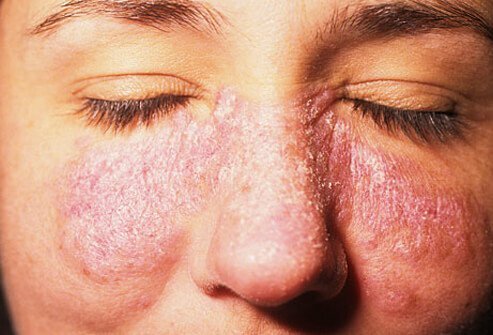 A minority of systemic lupus patients have discoid skin changes. The impacts of discoid lupus are limited to the skin, though in about 10 percent of people diagnosed with discoid lupus, systemic lupus is discovered. While there is no cure for lupus, there are many effective medicinal treatments. A number of disease-management options are available for patients to optimally care for themselves. These can be important and include covering up when out in sunlight, not smoking, exercising regularly, and minimizing stress. 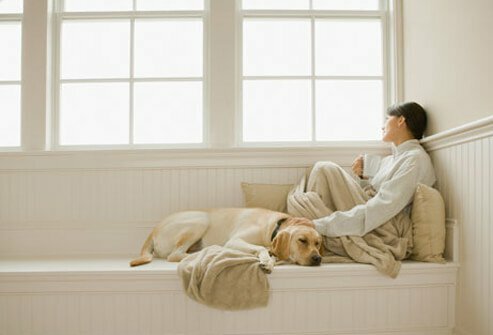 Adequate rest can be helpful, especially when the lupus is active. Lupus can affect organ function and cause permanent damage to the lungs, heart, kidneys, and other organs. Sometimes the organ injury is not apparent to those affected by lupus. 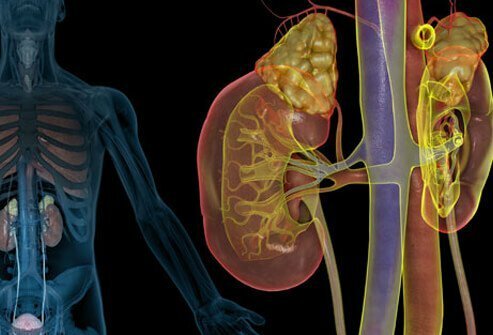 The leading causes of death in patients with lupus are active disease, particularly kidney injury, infections, and cardiovascular disease. Inflammation around the heart (pericarditis) is the most common heart ailment in lupus patients. 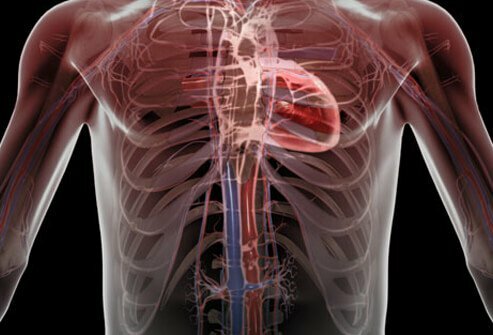 This inflammation involves the natural sac around the heart and can cause severe chest pain that is worsened by changing body positions. Lupus patients also are prone to cardiovascular disease, including heart attacks from coronary artery disease. Other complications of lupus include heart valve disease and inflammation of heart muscle (myocarditis). Inflammation of the tissue around the lungs is called pleuritis. Pleuritis affects approximately one-third of those with lupus at some time in their lives. Pleuritis leads to pain in the chest with deep breathing (pleurisy). Chest pain should be promptly evaluated by a doctor. 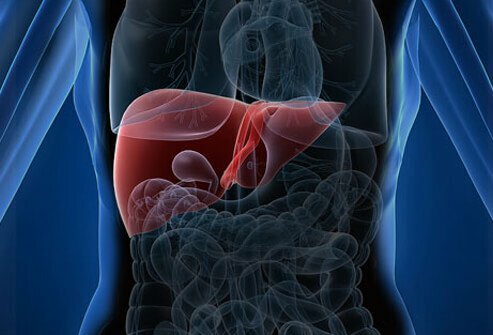 Problems of the digestive system can be caused by disease of the liver or pancreas. This can lead to belly pain, difficulty swallowing, nausea, and vomiting. It can be a reaction to medications or from the lupus itself. Weight loss during flare-ups of the disease is common. Anemia is a condition of abnormally low red blood cell counts. Anemia can be caused by lupus and medications used to treat it. Symptoms of anemia include fatigue and breathing difficulty, especially with exertion. 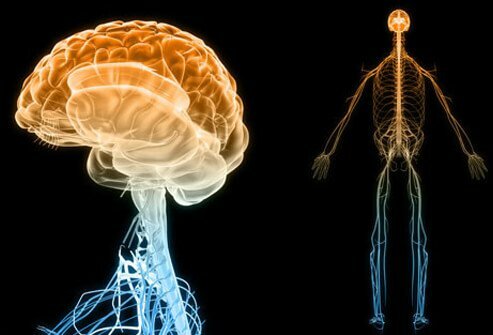 Lupus can affect the brain and nervous system. Symptoms range from headaches to numbness and tingling of the fingers and feet. Memory problems and thinking disturbances can occur. Though uncommon, lupus can cause strokes and seizures. Lupus patients are at risk for depression and anxiety. It is important for all those affected by mood changes to discuss these symptoms with the doctor. There are many treatments available to address these issues. Lupus can increase the risk of miscarriage and other complications of pregnancy. The ideal time for women with lupus to become pregnant is when the disease is least active. Pregnant women with lupus can require high-risk obstetrics care. 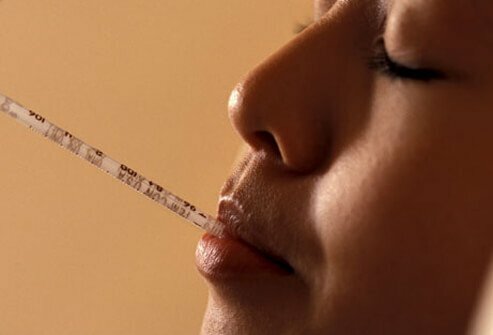 Optimizing medications and regular monitoring of lupus and the pregnancy is essential for pregnant women with lupus. 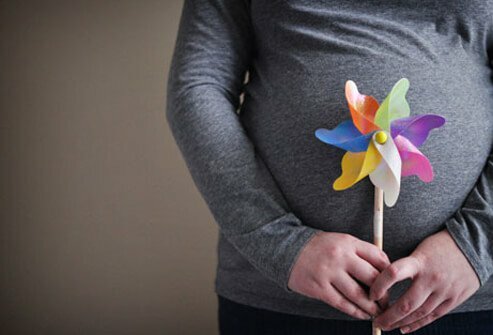 Babies born to women with lupus are generally healthy. Rarely, however, neonatal lupus can occur in the newborn. 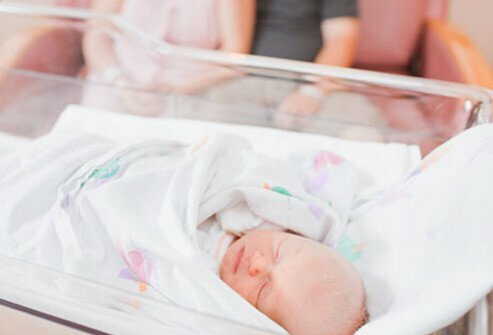 Neonatal lupus can cause skin rash or disturbance of the baby's heart rhythm. This can require special medications for the infant and even a temporary pacemaker to keep the heartbeat normalized. Joint pain and fatigue from lupus can interfere with the ability to work. In the U.S., one-third of patients with such manifestations of lupus are unable to work. Patients may be required to reduce activities and can require assistance with child care. Nevertheless, a majority of patients with lupus can carry on normal daily activities. Although many claim to offer the perfect lupus diet, there is no special diet for alleviating lupus symptoms. 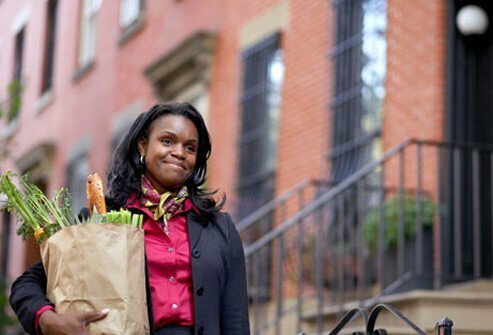 The same diet that is typically recommended for healthy living—one with plenty of high-fiber fruits and vegetables, whole grains and lean proteins—should work for those with lupus as well. That said, some researchers have found that alfalfa may induce lupus-like changes is immune cells, so that food may be best avoided. Also, one four-year study in Japan found that diets high in antioxidants like vitamins C and E may help alleviate inflammation for lupus sufferers. However additional studies are needed to verify the relationship between antioxidants and lupus relief. Along with all of its other ill health effects, smoking worsens lupus symptoms as well. 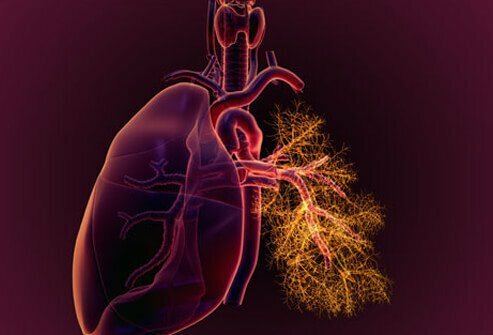 Smoking together with lupus can hasten lung infections, heart problems including heart attacks, and narrow blood vessels. The good news is that by stopping smoking, most of its impacts on lupus are reversible. Lupus sufferers often report a memory problem known as “lupus fog” that interferes with daily tasks. Those with lupus fog may struggle to remember names, dates, and generally find it difficult to think clearly. 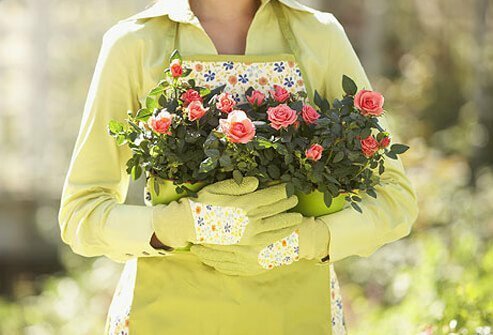 Memory techniques can be helpful, as well as staying organized with calendars, reminders, and appointment books. Lupus pain can be aggravating and debilitating. Fortunately, there are some techniques you can use to help relieve it. Many people are unfamiliar with lupus, and the wide range of lupus symptoms can make it difficult to explain. You might explain that lupus is not contagious, it is not cancerous, and although it is an autoimmune disease with an overactive immune system, it is not an immune deficiency such as HIV/AIDS. 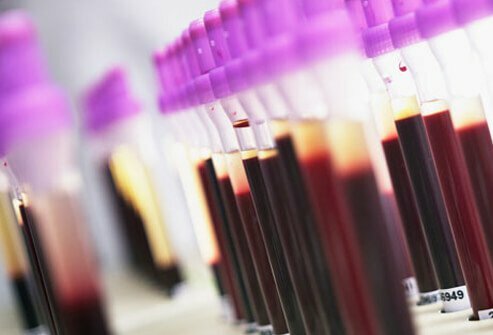 You may explain that lupus is somewhat of a misguided immune system that causes one’s own immune system to attack its otherwise healthy body parts. Lupus is chronic, meaning it lasts throughout life. It may help to explain that lupus is unpredictable and takes on many symptoms. With early aggressive treatments, most patients with lupus carry on with normal lives and are living longer than in the past. The keys to the outlook for each person affected by lupus is the severity of disease and whether or not vital organs are affected. The prognosis for most patients is very good. Medi-Mation Ltd / Photo Researchers, Inc.
John Hopkins Medicine: "Types of Lupus"
Lupus.org: "Living Well with Lupus", "Understanding Lupus: Forms of Lupus, Pain, Memory, Diet and Nutrition"
New England Journal of Medicine: "Belimumab for Systemic Lupus Erythematosus"